Back again with another interview for Before I Had a Seven Year Old, a series where I ask moms of older children about their experiences as new mothers. A few weeks into starting this series a reader reached out to me and asked if I was planning on having someone contribute who maybe...didn't have a bzillion children??? And I was totally pegged. So I thought she very much had a point and decided to remedy that! Today we have Annie of Annery at Home. 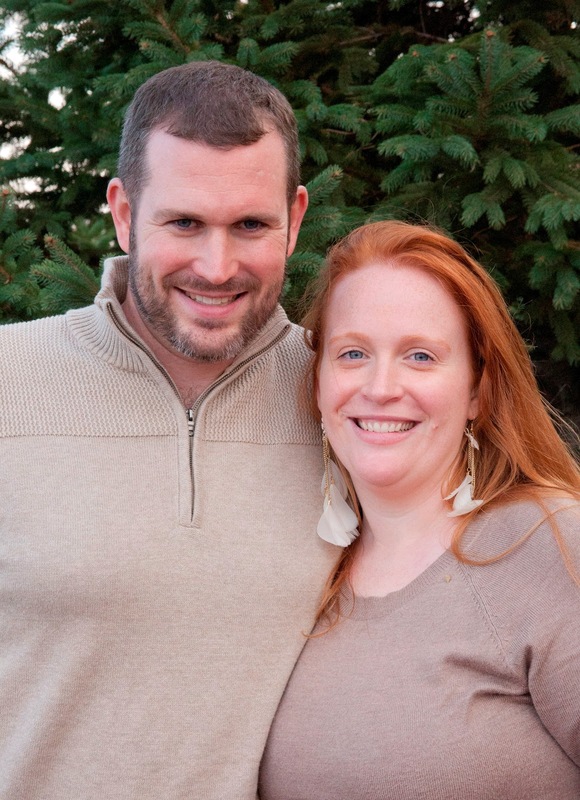 Annie is a wife of 10 years, mom of nine years, and an instructional designer. That's a really fancy way of saying sometimes she designs training for companies instead of putting away the laundry. She and her husband are foster parents and have struggled with secondary infertility for more than 8 years. How many kids do you have? How old are they? Right now, we have three children living with us. Our bio babies are LB, age 9 and SP, age 2. We also had a foster daughter from July 18, 2011 to December 20, 2013 whom we raised from birth. 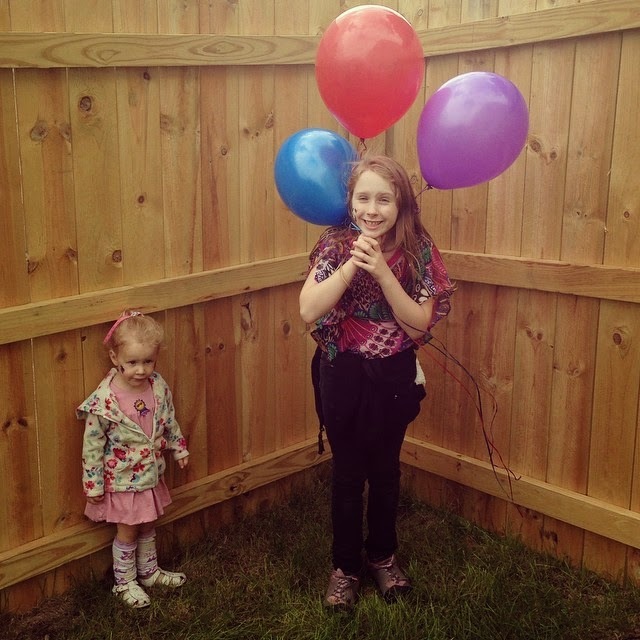 Eight months after she was sent to a birth parent, we took another foster daughter, who is 3. No face photos to protect her privacy, but trust me, she's a cutie! What are the biggest differences in your home life now that you have slightly biggers running around and not just really littles? My oldest was super colicky, super high strung, super stubborn (we're still working on a couple of those). The first five years with her were extraordinarily difficult in terms of emotional energy (especially since we were struggling with not being able to conceive). She was 6 when we got a foster placement for the first time and 7 when we had her younger sister. She is very, very helpful. 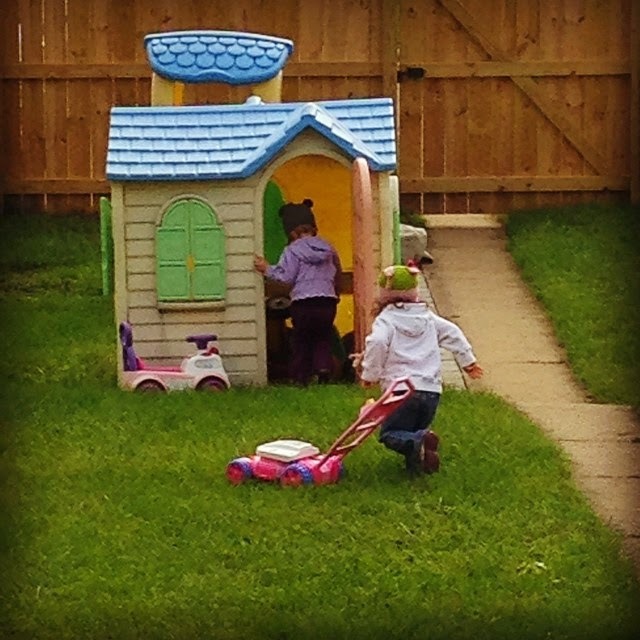 The single biggest difference between before 7 and after 7 (aside from going from one to three kiddos in a year) was the level of help she could provide. Right around 5, I noticed we turned the corner from needing to keep her busy so I could get something done to putting her to work next to me. Now, life is busy, but so much easier in little ways that add up. LB can heat up a couple waffles or pour a bowl of cereal...not just for herself, for the littles too. I can finish getting my shoes on while she helps put little shoes on. I can grab snacks while she helps a toddler buckle in. So. Much. Helpfulness. What's something you miss about that stage of only really littles? Honestly, I like my kids more the older they get. If I had to pick something though, it would be that solid window of alone time in the afternoon during nap time (when she wasn't screaming and fighting it). Although, it's hard to say I miss that since that's now the time of day LB does chores and I really prefer having the help over the alone time. If you could go back and tell your new mom self something, what would it be? Don't feel guilty about napping. How do/did you conquer nap strikes? Napping just got a little more challenging around here with the arrival of a new toddler to share SP's room, and nap schedule. The most successful way we've conquered the goofing around at naptime is to sit in the room for about 5-10 minutes while the toddlers are falling asleep. I'm part of a book club and have a hard time finding the time to read the book, so I usually read for my book club book during this time. I've taught the 3 y/o to sneak out while the 2 y/o stays asleep about another hour, then at night, the 3 y/o lays down about an hour earlier so they aren't up to nonsense all night long. LB was an infamous nap striker. I found her sleeping half-standing leaned up against a chair or her bed as much as I found her in her bed at naptime. My strategy is to keep very little in the room, make them stay in the room and if they make a tornado, they'll be assisting in clean up AFTER naptime. When LB got old enough that she was only napping about half the time, I instituted a rule that she had to lay down for the length of one CD. We checked out a lot of children's books on CD from the library and she worked her way through a lot of them at naptime. I think that's contributed to her love of literature now. How has your marriage changed since having children? It seems like all of our married life has been with kids. LB was born after 15 months of marriage, so most of the last 10 years, we've had company. The biggest change has been in learning to conquer adversity and weather the storm together through sleepless nights, infertility, and loss. I couldn't have known how much we would need each other to just get through the day before kids. It's also made it trickier to find alone time. We went to Germany for 10 days this summer for my work, and it was the first time we'd been alone for an extended period of time in years. I was surprised at how much I missed the kids, but it was nice having that time to reconnect. Describe a moment where you definitely did not have it all together. Recently? Our foster daughter's school had a child with lice. I absolutely lost my mind. I threw away everything they sent home for us to clean (it was our/her stuff), treated everyone in the family (even though she didn't actually have it, ergo none of us did), washed all bedding, all stuffed animals, sprayed down the house, generally went defcon 5 on it. All the while I was doing it, I knew I was over-reacting, but I've never been so grateful for the super-hot sanitize function on my dryer. I'm still seriously considering taking all the clothes out of the closet and running them through the dryer. In general? I almost always forget one thing I need. If someone is potty training, I probably do NOT have the emergency outfit in my purse. If someone is poopy, the wipes are probably in the other car. How did you build community for yourself and your family? This one has been tricky for me. When I had an only, especially when she was very young, it was really lonely. My best friend moved to Texas when my daughter was 8 months old (and finally moved back 8 years later - hooray!). I was alone with a young baby/toddler a lot. When LB went to 3 y/o preschool, I still felt like it was hard to fit in. Everyone either had lots of kids, or was congratulating me on my "wise" decision to stick with one because they're just so much work. That was one of the hardest times in our infertility, because we weren't actively telling people. Now, when I get the questions about whether we're two and through, I always say that it took us seven years of trying to get our second, so we expect the third to be along for my 40th birthday. That joking way of telling them, "hey, it's not automatic for everyone!" seems to be the kindest way I've found of getting that point across. Finally, when LB was 4, we decided (for a number of reasons) to homeschool. That is when I felt like I found my community. All these kids and moms who liked having their kids around all day. With an only child, I felt a heavy weight of needing to soak in her childhood, because her life/childhood might have been my only experience of that as a mother. I wanted to soak up every minute, to watch her learn and grow right in front of me. It was hard for her to learn to read, but I was the one who got to see that click, and it was worth every hard day that came before it. When we started homeschooling, suddenly, we were surrounded by a built-in network of all these other mothers and children who were around during the day, doing things with their kids, and generally enjoying themselves while doing it. As an introvert, it's still an effort for me to make friends (and I'm learning to step up and make that effort more! ), but having that surrounding network of ready-made community was a huge step towards finding my place in this world as a mother. Blogging has also been a way I've built community, a community that is deeply personal and meaningful. I have built friendships with women who are struggling down the same road I'm on, who are new moms and trying to figure it out, who are veteran moms, all of them. We come together in faith and with a joint love for our families, and the common experience of trying to figure out how to be who God made us to be. My fellow bloggers are amazing, and one of the best "side effects" of telling my story in my own little corner of the blogosphere has been finding these other amazing women doing the same thing. What was the hardest transition after having a newborn? 0 to 1? 1 to 2? Zero to one was an especially difficult transition, but I think the hardest was one to two. There was a six year gap between LB and our first foster daughter. When you only have a six-year old, you sleep in on Saturdays while they rummage for cereal and watch cartoons. They open their own car door and buckle themselves in. They can be trusted to walk next to a shopping cart without pulling items off a shelf. They can carry on conversations and roam relatively freely at play dates. When you have an easy-going six year old, people will readily take your child places for extended periods of time. Aunts and uncles are happy to do sleepovers and take them to the zoo. When you've been so softened by the easy life of just one well-behaved six year old, having a newborn with drug and alcohol exposure on two-hour's notice is kind of like running full speed into brick wall. But more painful, with much more crying and sleeplessness. After we had been so used to sleeping well and sleeping in, we brought home a newborn. She didn't sleep for seven months. Every hour, she would be up and crying. With all the heartbreak we went through over losing her, I am so aware of how she needed us during that time. We changed her life forever by getting her through those first rough times. I think the difficulty was compounded by having another baby 10 months after we brought our foster daughter home. I didn't get a full night's sleep for at least 2 years. I'm not one of those people who can perform well without sleep, so it was especially difficult. I never pulled all-nighter's in college, I'm always early to bed. That time was one of the most sleep-deprived, yet rewarding times in our lives. I felt such a pressure to imprint everything into my brain, to savor every moment. Infertility magnified those feelings. As I look at my nine year old now, I'm reminded of those days when I felt such pressure that every day be so amazing and memorable. Now, I remember how much joy she brings me with each passing year. As tragically painful as getting rid of baby and toddler items is, I enjoy her more each year. There are so many that croak, "just wait until she's a teenager! ", but I don't just love my girl, I like being around her. I don't buy into the myth that she must magically become a horrible human being for seven years. She'll still be her, just going through some things/hormones that might make her a crankier version. Don't be afraid to let go of the baby or toddler to embrace the older kid in front of you. They're pretty awesome. When you have to purge some stuff that makes you cry, send me a note and we'll cry about how awful it is together, because it seriously is. But, just know, every next step is something great. God will reward your openness to His plan, even if it doesn't include more babies, there will still be much fruit. Don't feel guilty that you might have an easier time of it as a mom because you're not feeling overwhelmed, God always gives us consolations in our suffering. I'll still cry when I put away baby clothes, but greater times are still to come. Call me when you need to cry about it, I'll shed a tear with you. Thanks so much to Annie for being here today! And you can find the whole lot of Before I Had a Seven Year Old posts here. Beautiful interview today. I have three daughters with pretty wide age gaps between them. My oldest girl was 5.5 before we had our second and she is a lot like how you described your oldest--such a huge helper and a blessing to me when dealing with the younger two. She'll be 12 next month and I, too, am looking forward to the teen years because she's just so awesome right now on verge of adolescence that I want to push down the naysayers who "warn" of the teenage years. Your talk of sleeping while she got her own cereal and cartoons was so accurate that I had to chuckle. Thanks for sharing today, Annie!! Thanks for this! I love the perspective of a mom of few (bet who has an "older" child). Welcome to The Rhodes Log. Stories of our little family and motherhood from the trenches. We've moved ... kind of?